I was born in Manchester, attended Adelphi House Grammar School FCJ, then Hull University. Moved to Camden Town to study at London Contemporary Dance School where I met Charlie, who became my lifelong soul-mate and husband. Years of being a dancer, working in Theatre, in London, and then the film bug became contagious and I went to Film School where I earned an Oscar nomination. 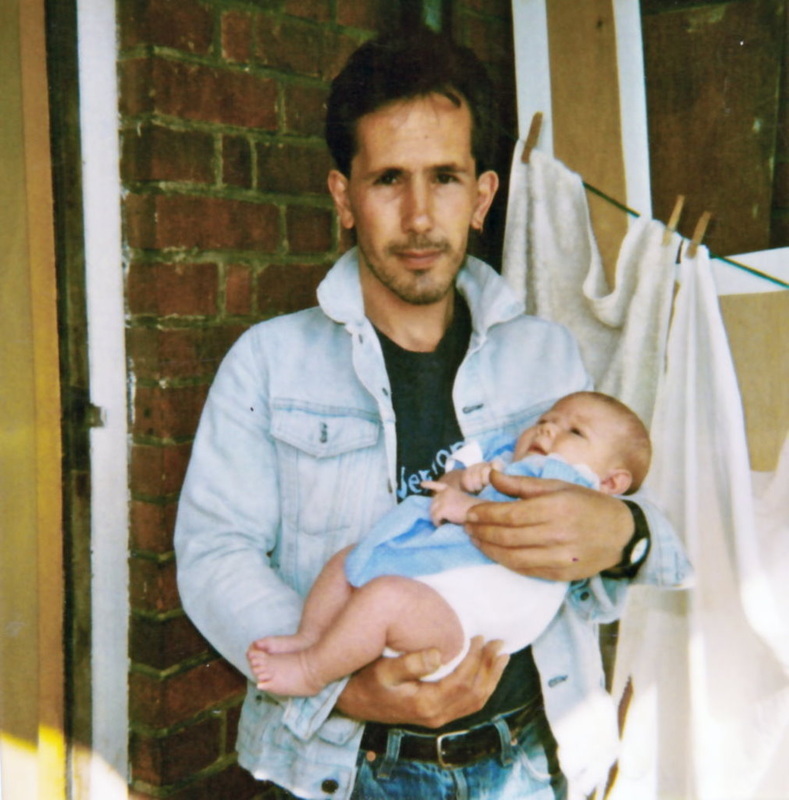 Charlie and I married and had 2 children and I needed a proper job so I went back to The Place, now my soul home and developed dance film programmes and taught an MA at London Contemporary Dance School . We moved out of London to Essex where I became Director of a Media Arts Organisation before we moved to Spain.... and back again. We now have a growing family with grandchildren and in-laws. There is no ending yet. The writing journey continues with like minded travellers. Decide the focus for your story: is it about your childhood, family, career, hobby or something else? I was born in Manchester, well an overspill suburb of Salford, really. My father, Rocco was Italian, my mother, Phyllis, half Welsh. Sadly this doesn’t mean that I can sing although both my sisters and some of my brothers can hold a tune. Tony sang in a band and taught himself instruments. I learned to play violin (badly) but still hack out the odd Christmas carol when I absolutely have to. silly luv, they’ve got people who do that sort of thing...’ I believed them, as children do. Write a list of the people in your life who would make your story interesting. The University of Hull in the mid 70’s, had a Drama Dept full of interesting people and ideas which I had never encountered before, like the one which said ‘You will never get anywhere with a Manchester Accent’, so that was the first of my reincarnations. The second was as a filmmaker: I discovered super8mm and made endless reels of little films and was captivated by images and also by writing short film scripts. I was like a butterfly starved of creative nectar; it didn’t exist in Salford in the 70’s, at least not where I grew up. 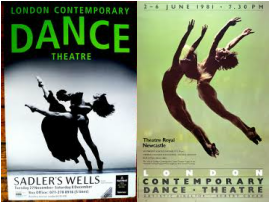 London Contemporary Dance Theatre pirouetted magnificently into my life with a residency in the Drama Department and performances at the University Theatre.... WOW! This was something I had never seen before and it blew me away . So I set about the daunting task of going to study at The Place in London: so called because it was the only place to be in the late seventies: zero to hero in three years? I liked a challenge – I was from Manchester – and three years later, I won a fully funded place at The Place.... and so began my complete move away from writing and into non verbal communication, and the asthma improved with the physical exertion. No more bunking off school. Besides, I was at The Place. Who'd want to? But the filmmaking wouldn’t go away so after many years of hurting muscles, damaged knees and shifting sand, I went to Film School – in London’s Covent Garden, so that I could still do classes at Pineapple. I had an amazing time making proper films in 16mm and 35mm colour and was shortlisted for a (student) Oscar at the Academy of Motion Pictures, Arts and Sciences, to give it its full title. By this time I had met Charlie Peacock whom I instantly recognised as my soul-mate: I will tell that tale another time and he crops up, disguised, in my fiction all the time. We married and had two amazing children who changed our lives forever. I began to live in the real world and not in the ‘Arts world’. After a few years of manipulating a double buggy up Camden High Street on market day to buy bread and milk, we decided that we could buy ourselves more space, a bit of tranquillity and maybe some family time by moving out of London. A few years later and tired of commuting, I took a job running a Media Centre in Essex which was all about working in the community, not about working with artists. Time passed. We got a dog to look after the two children – (he was an old English sheepdog,) and we lived in a house built from ships timbers around 450 years earlier. Write about an event in your life which was unexpected, unforeseen or simply unusual. Charlie said one day that he had always wanted to go back to Spain. He began to Google 'Houses in Spain'. He found a nice place and went out to have a look and came back and said he had bought it; so I gifted myself a month of Sundays and we took a long vacation.... 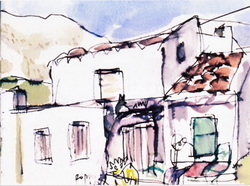 I loved the village of Castell de Ferro and we began to think that we could live here. There was an International school for the children... So we moved – not all of us and not for long but a love affair with Spain developed. the UK.... where I am still writing. Another blank page, a new chapter or maybe a sequel awaits? 2. How much do you want to say? How much do you have to say? Each section could be a paragraph or a chapter. 3. Set Boundaries: What do you want to include / leave outside the door.